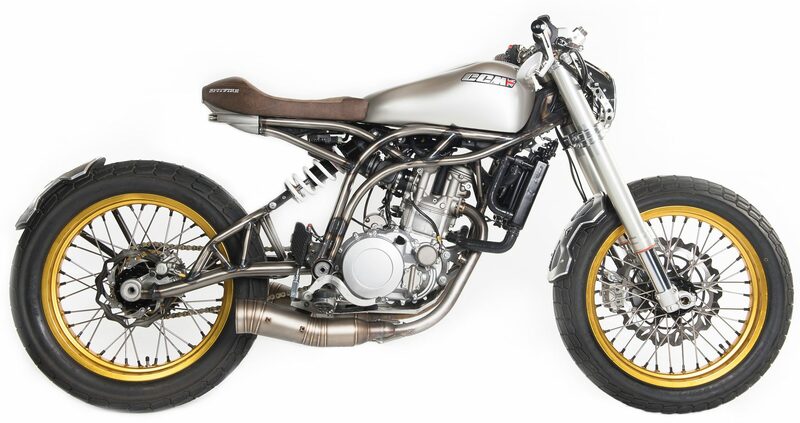 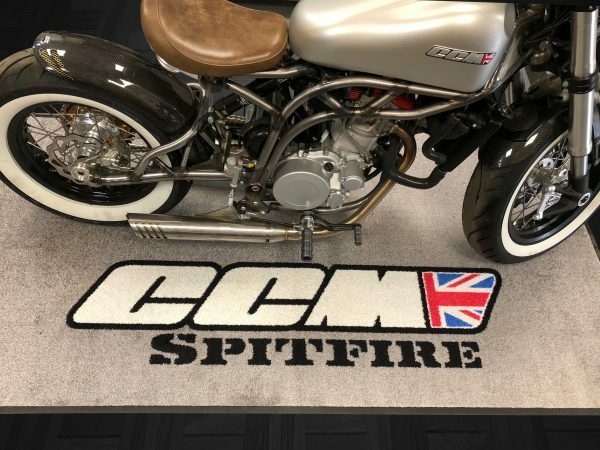 A striking and super-stylish design makes this floor cover perfect for use at home or in the garage. 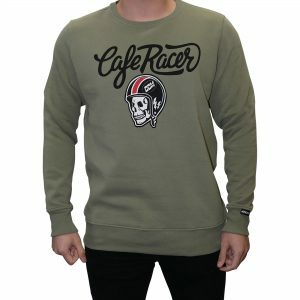 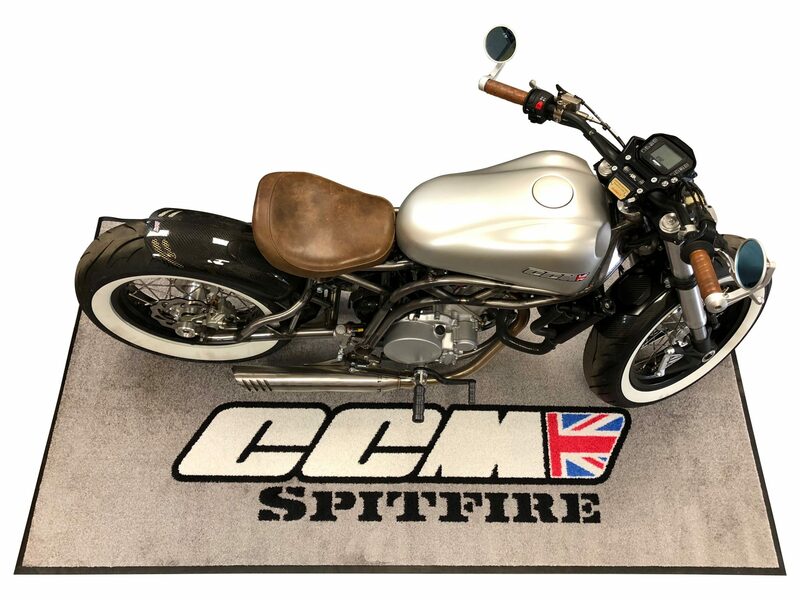 You may choose to use in your garage as a workshop mat to provide a little more comfort as you tinker away the winter, or you may need a place to proudly display your brand-new Spitfire when the neighbours pop round. 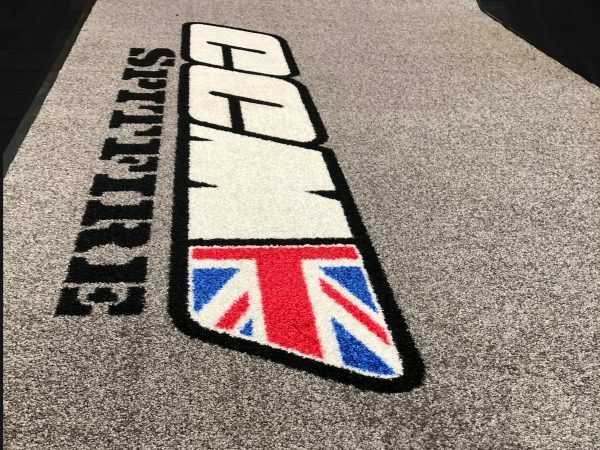 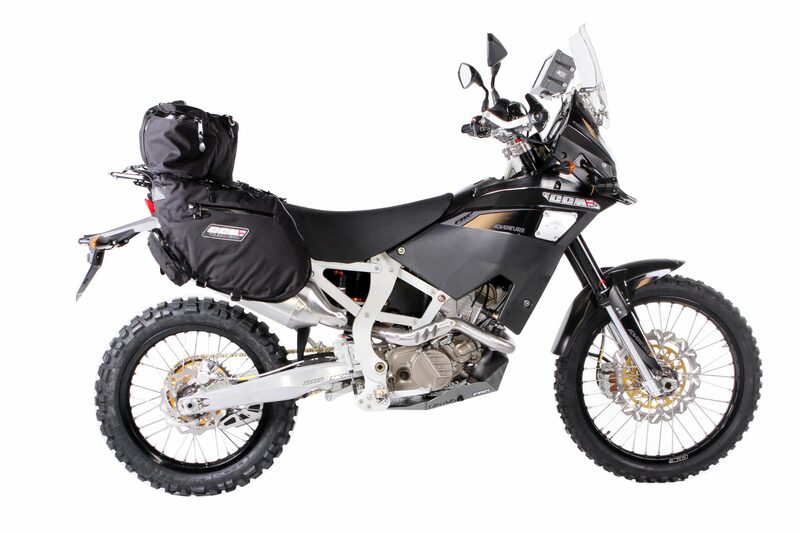 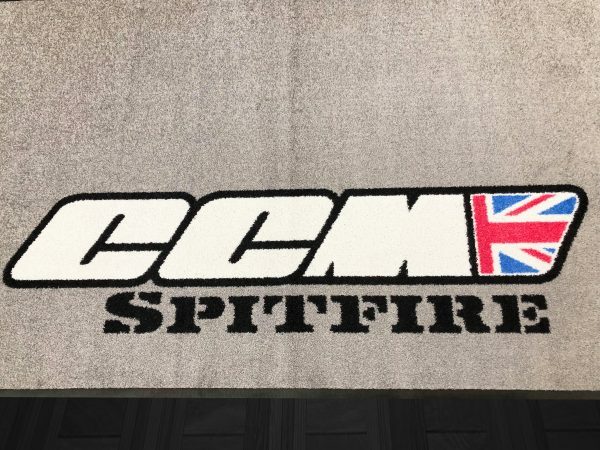 The CCM mat is plush enough to double up as a rug for use inside the home, and with a non-stick backing, it adds a layer of protection between your wet bike boots and those slippy wooden floors. 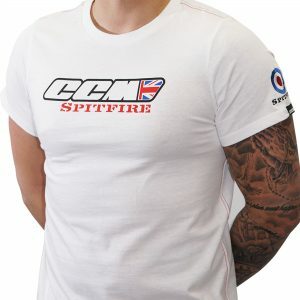 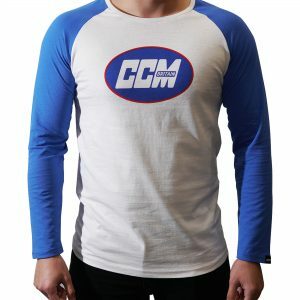 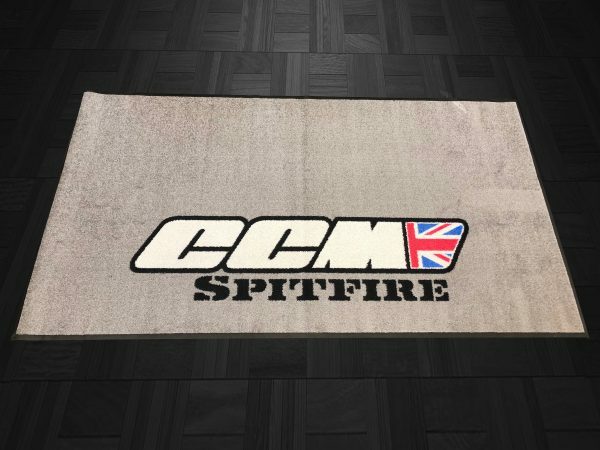 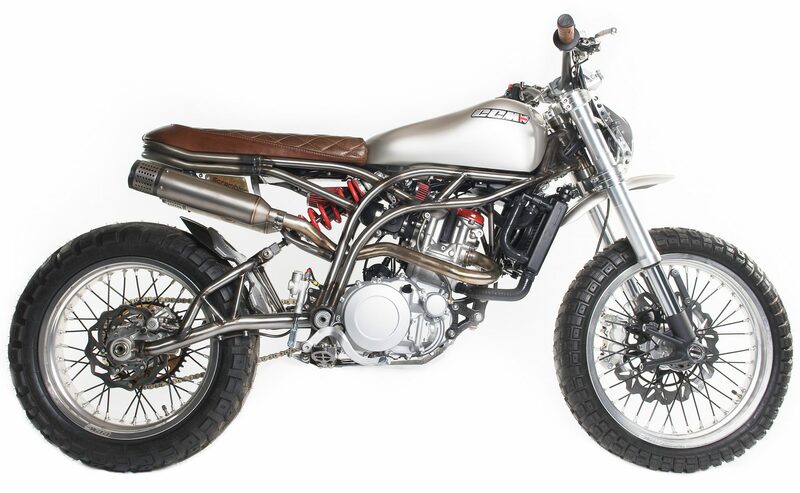 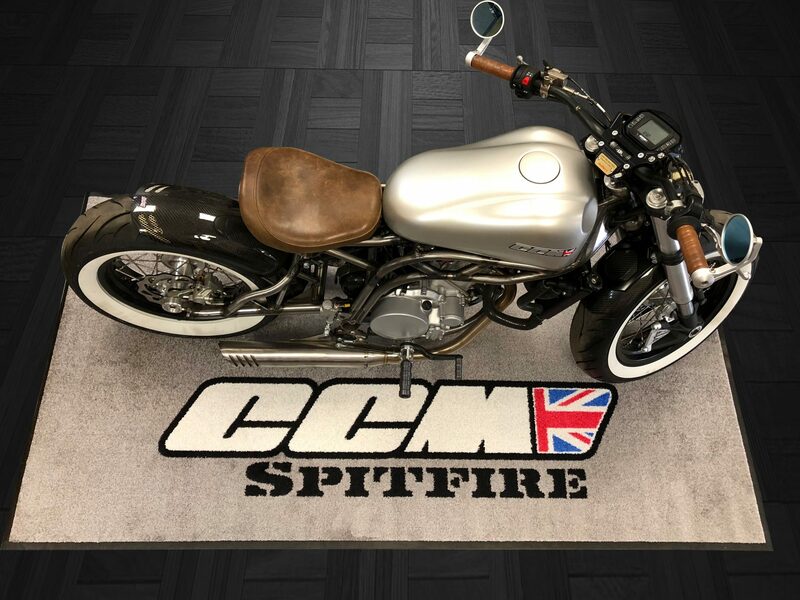 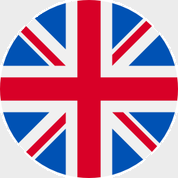 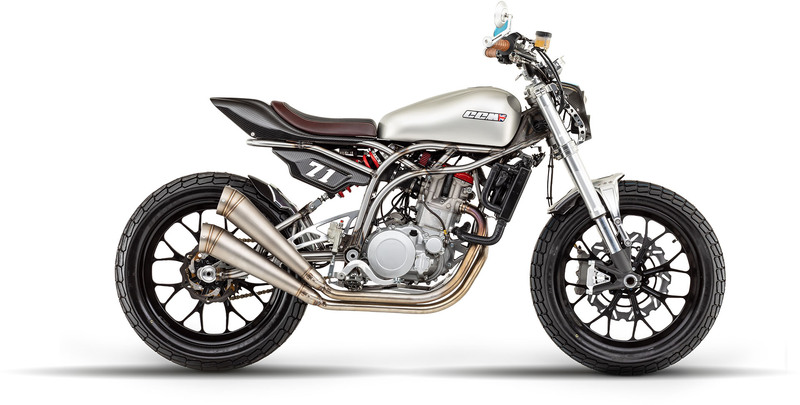 – Slate grey coloured backing with bright white CCM Spitfire logo, complete with Union Jack flag.